Can you help find missing Clotilde Reilly? Police are increasingly concerned about the whereabouts of a vulnerable missing person Clotilde Reilly from the Carryduff area. In a Facebook post the PSNI describe Ms Reilly as 5ft 10 in height but say whilst they are unsure of what she was wearing when she went missing "she would usually wear heavy winter clothes all year round". 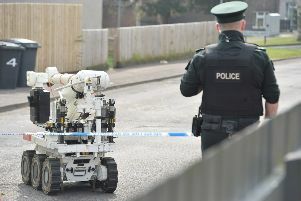 Anyone with information is asked to contact Lisburn and Castlereagh Police on 101 serial 1382 17th July .